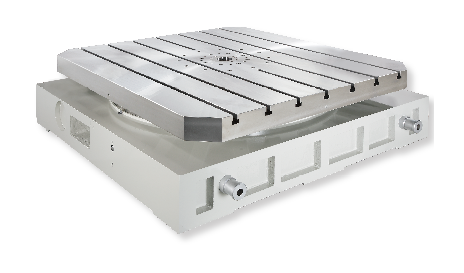 The HC series of automatic indexing tables can be used with the table top in either the horizontal or vertical plane and are suitable for use on Machining Centers, Rotary transfer machines and most any other style of production machines and in manufacturing systems. 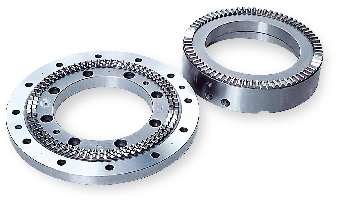 Rotation is by a worm and wheel driven via a servo motor, hydraulic clamping through the 3 piece coupling generates a resistance to high machining forces, add for the ultimate in positioning accuracy and rigidity. prohibits swarf, chips or cutting fluids from entering into housing, this creates reliability and longevity. Hydraulic rack & pinion drive with built-in cushions to ensure smooth operation with optimum cycle times, the table clamp and unclamp functions are hydraulic and monitored for safety by reliable feedback switches.